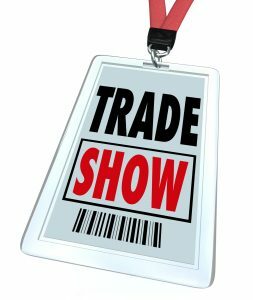 A few weeks back, I was at a trade show (ISC West), and I’m still haunted by a sales interaction I witnessed. Maybe you’ve had the same thing happen to you at a similar event. Here’s the situation (without names to protect the guilty): I was walking the show floor with a good friend who is also a business operator in the industry. We were casually strolling around, but we also had certain individuals and companies that each of us wanted and in a few cases, absolutely needed to see. Suddenly, like a starving predator, this young man chases down my friend and interrupts what we were doing. Without as much as introducing himself to me, he launches into a monologue about how he wants my friend to come talk with him at their booth. His approach was unempathetic. He was unaware of how he was being received, and frankly, impolite to attack. After we shed him, my friend said “Well, that was rude. I am certainly not going to talk with him.” Even though she had indicated that she would go visit. In fact, she couldn’t even remember his name. And, unfortunately, this isn’t an isolated instance. I see salespeople do it all the time. Now in a trade show situation like this one, where the salesperson literally chased down a prospect, it’s easy to spot the problem. But, every day in scheduled meetings and at sales appointments, salespeople do the same thing. They think about themselves and what they want to get out of the interaction – not about the prospect or customer. The key qualifier is “appropriate” which indicates that the individual doesn’t have too much of the trait or too little. Think of each as if balancing a see-saw. Not enough Empathy and a salesperson comes across as not caring. Too much and they get sucked into the reasons and excuses as to why a prospect can’t do something now. Not enough Assertiveness and the salesperson doesn’t ask enough questions to move an opportunity forward. Too much and they are pushy and aggressive. Not enough Optimism and the salesperson has Eeyore from Winnie the Pooh’s negative outlook. Too much and they believe that eventually, everyone will do business with them, so they let prospects off the hook now. Going back to the trade show predator, our guy was not empathetic and was too assertive. I can’t speak about his optimism, but it doesn’t really matter. He ran my friend off. If you want to be memorable, in a good way, and connect with prospects and customers in a manner that they will appreciate, improve your Sales Posturing. It is measured with about 200 other sales traits that impact success in the Objective Management Group battery of sales-specific assessments. Download a sample here and see the complete collection of traits that comprise Sales Posturing.